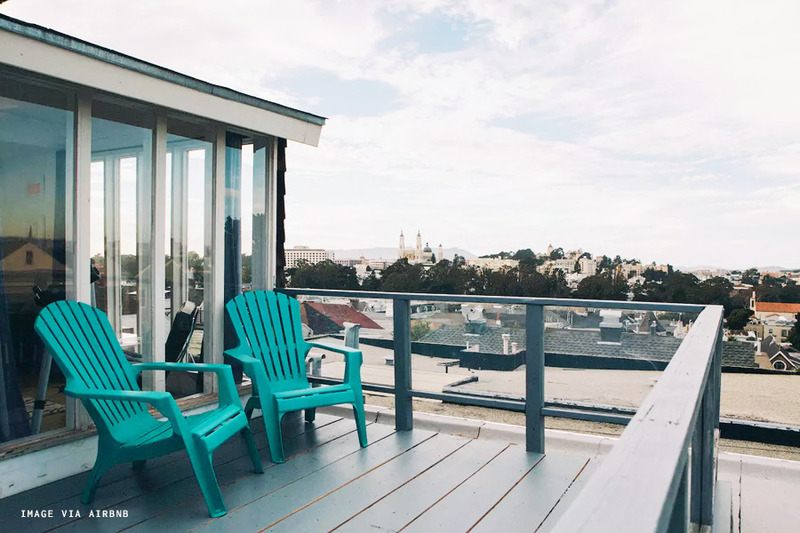 San Francisco is our most requested city to cover, so we're starting out with a deep dive into the city's Airbnb scene. Before moving to New York I spent my first two years out of college living in San Francisco and I'm still nostalgic for the beautifully painted Victorians and breathless bay windows. Not to mention the space! 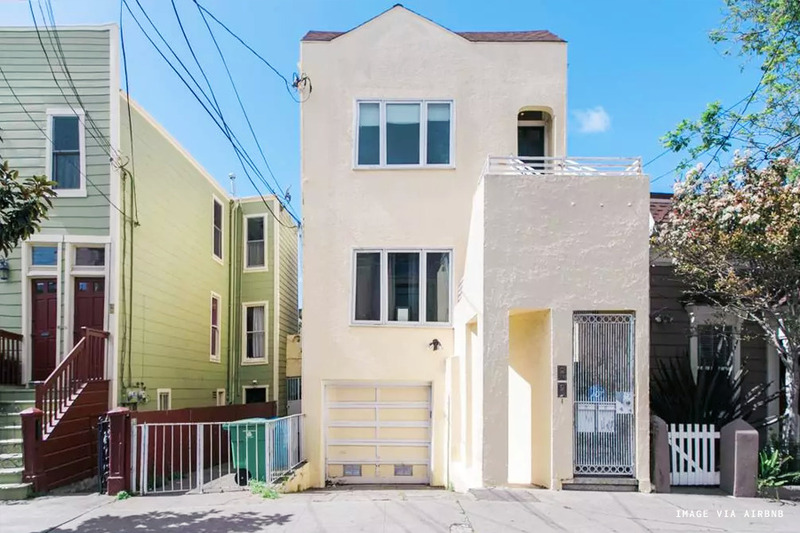 Sure, New York and San Francisco are equally crippling expensive but at least you can rely on San Francisco's California address for a few extra square feet and pleasant weather to distract you from the burning hole in your paycheck. 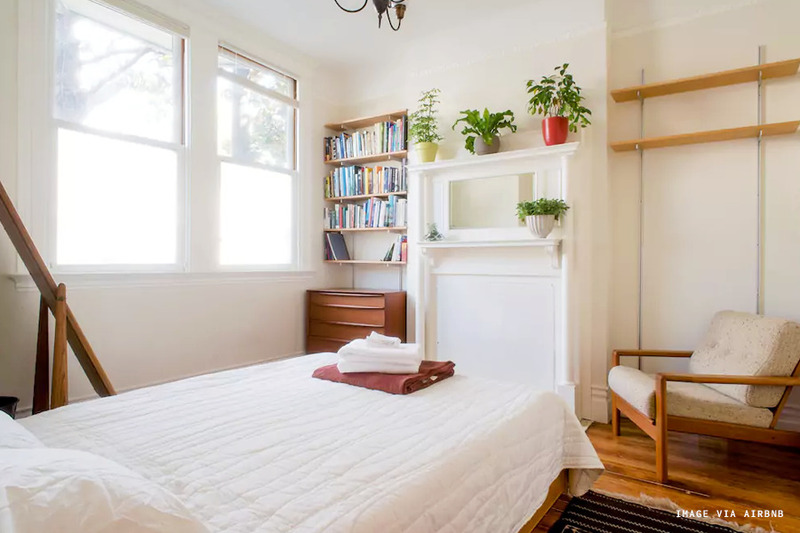 The other good news is that Airbnbs in San Francisco are actually quite reasonably priced. Perhaps the sizable supply, thanks to Airbnb being based there, keeps the rates competitive. 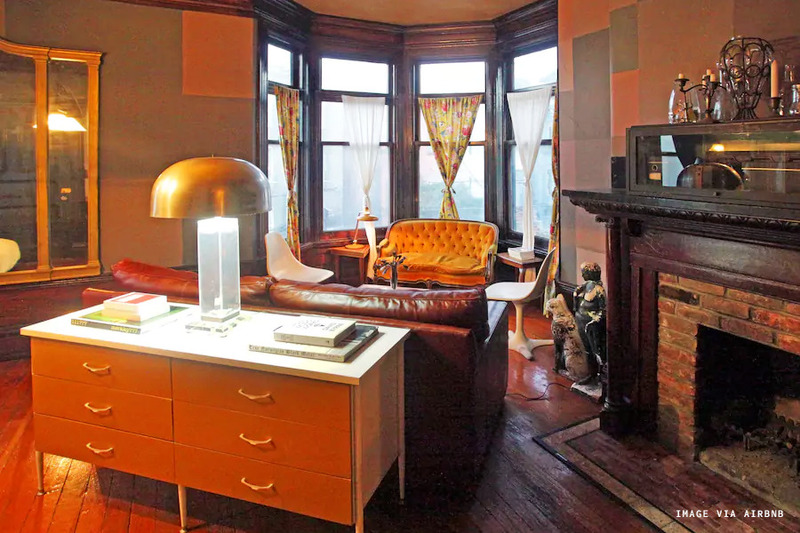 It's also generally a better choice to stay in an Airbnb if you want to truly experience the city. 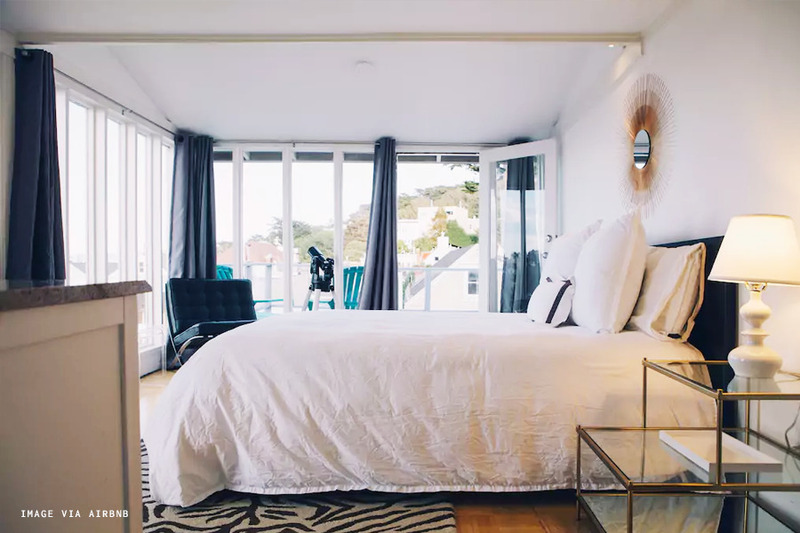 Most of San Francisco's hotels are located downtown or near the financial distract and sadly not in its best neighborhoods (we will feature our favorites soon nonetheless). 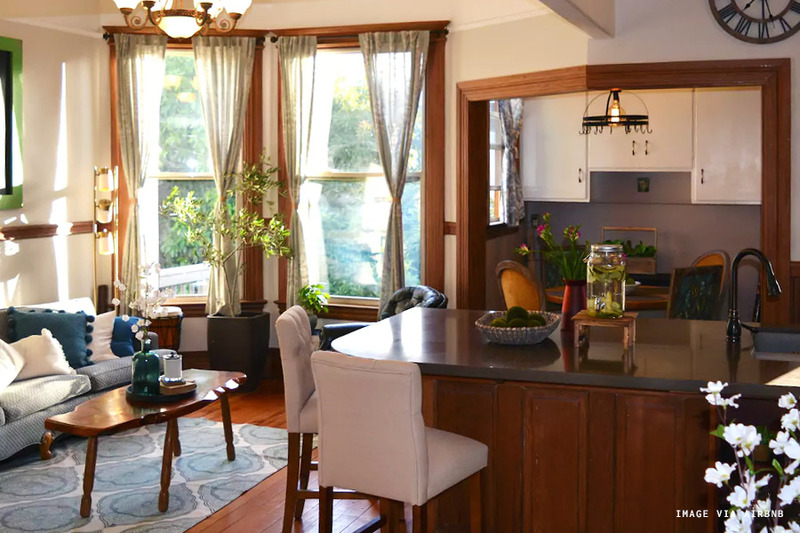 Since there is such huge inventory of Bay Area bnbs we've limited this list to options within San Francisco city limits, and will touch on Oakland and North / South bay options at a later date! This so called tiny house has everything you could ever need or want: big windows, an industrial-inspired kitchen, and minimalist bedroom. The fact that it's surrounded by trees only adds to the charm. 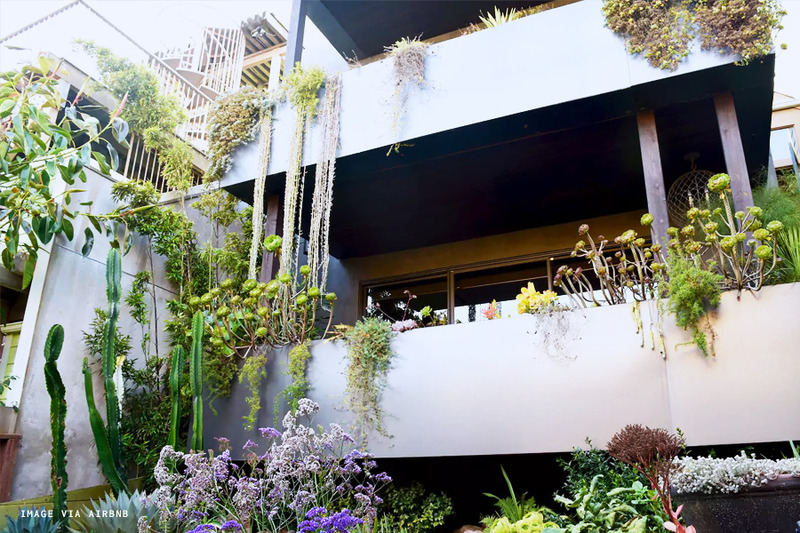 This architectural gem is available in limited capacity throughout the year. 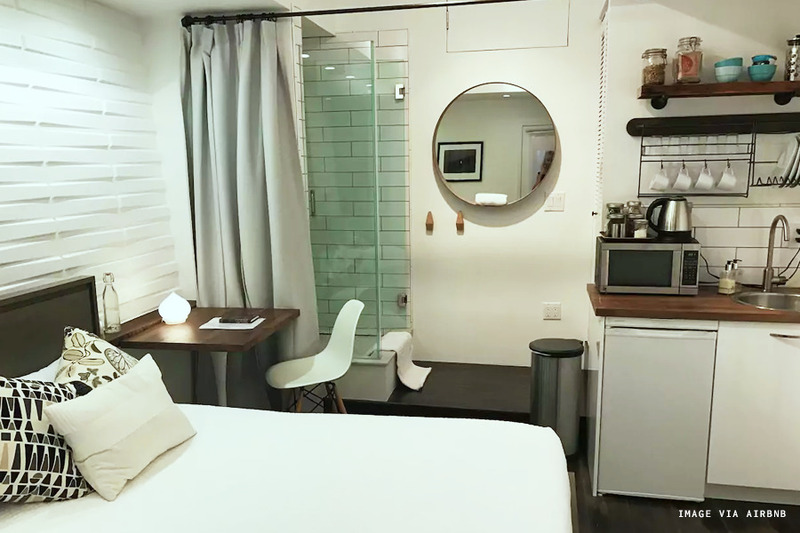 Have you ever wandered around the IKEA showroom and wished that your apartment could look like their thoughtfully designed fake apartments? Well, this one actually does. 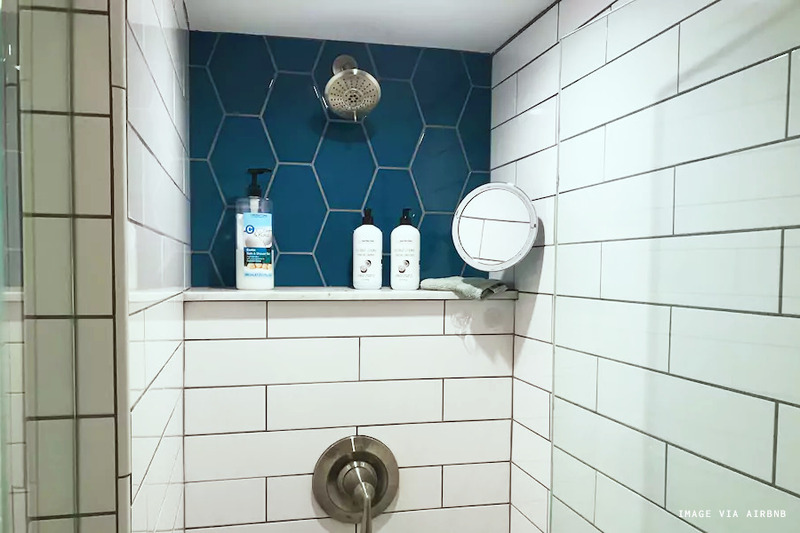 This little studio has a calming vibe, a custom shower with some gorgeous tile work, and is located near two of my favorite small parks: Precita and Bernal Heights. Access to this studio requires going up a short flight of 3 steps. 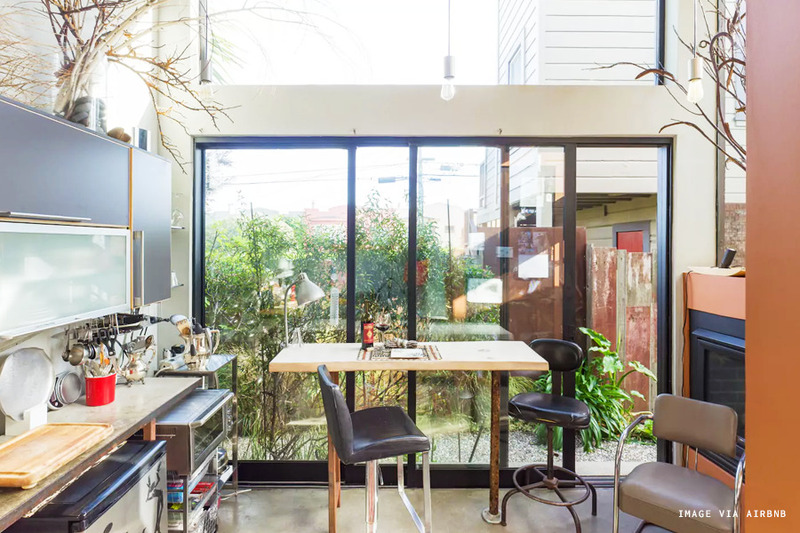 This studio has a brilliant layout and big windows for soaking up all that California sunshine. 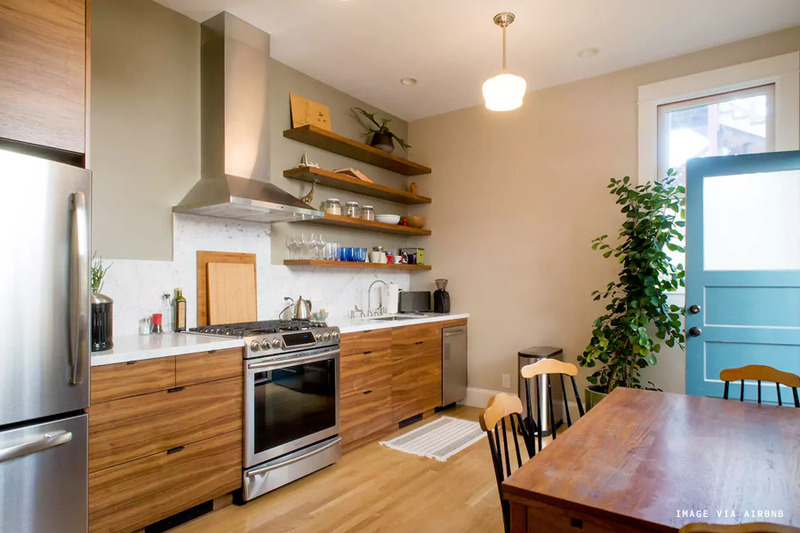 There'a also an adorable little breakfast nook in the apartment, which is located at the cross-section of three of my favorite SF neighborhoods: Mission, Noe Valley, and Bernal Heights. 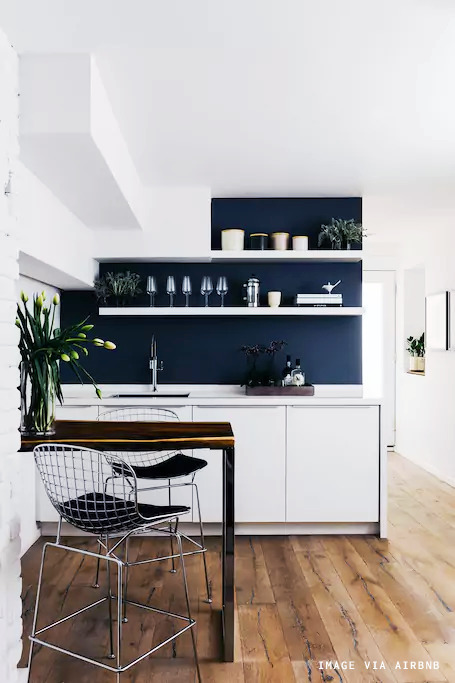 We love the dark, moody vibes of this abode, which will please any plant lover. 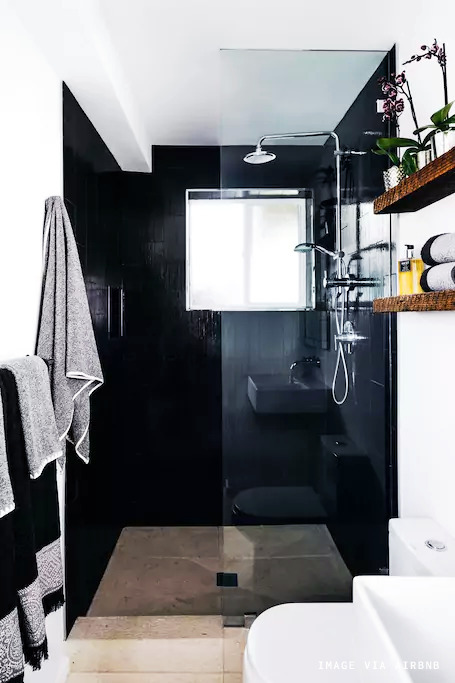 The dark wood paneling gives it a cozy, homey feeling, working in favor of the unit's basement level location instead of against it. 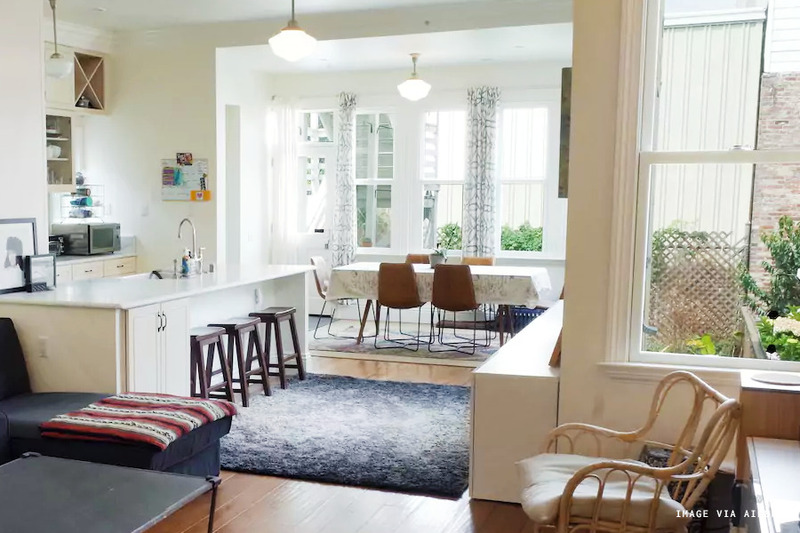 The unit is located in a renovated 1906 Victorian cottage. 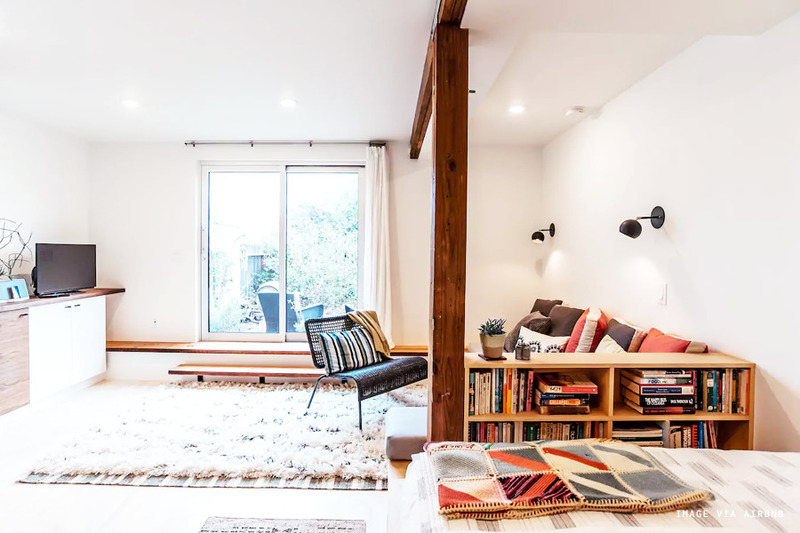 If dark and cozy basements aren't your thing, then this light-filled top unit may be more up your alley. We love the minimalist, subtly nautical color scheme and the private deck is an added bonus. It's also located in quaint Cole Valley, a neighborhood I always dreamed about living in during my time in San Francisco! 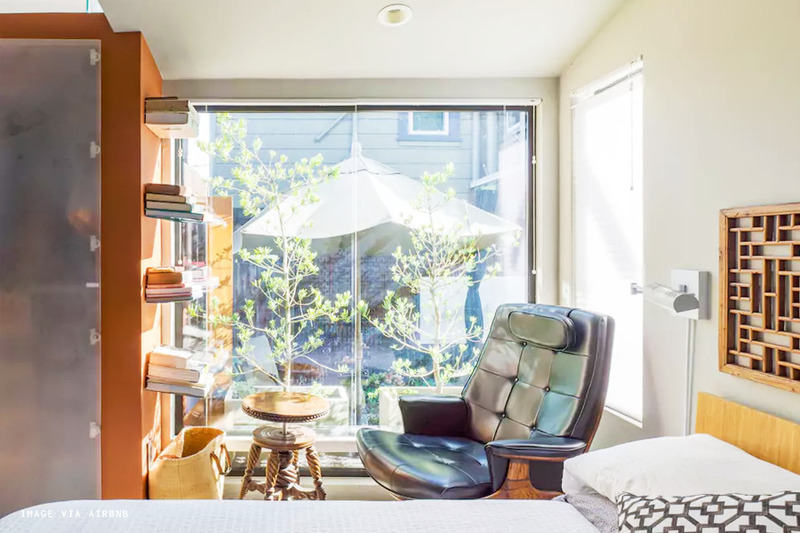 A gorgeous, light-filled apartment close to Golden Gate Park and the vibrant Inner Sunset neighborhood. 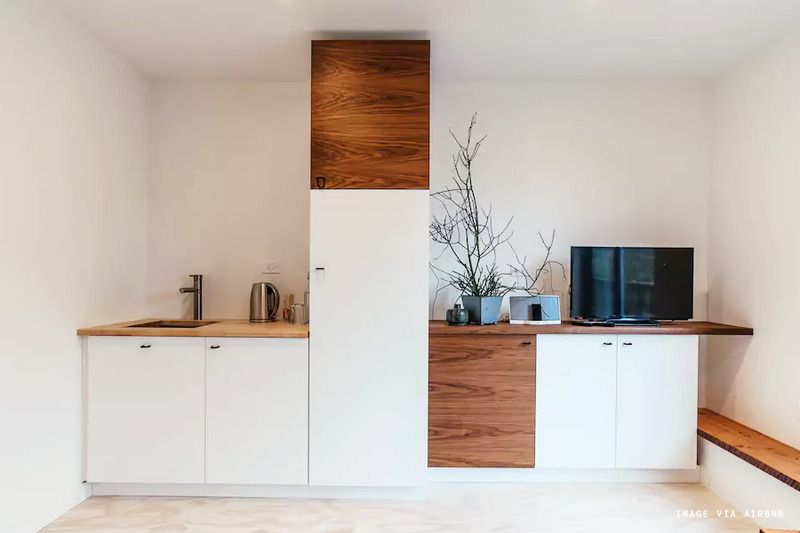 We love the white and wooden kitchenette and how the apartment is optimized for storage, making a small space seem even bigger. 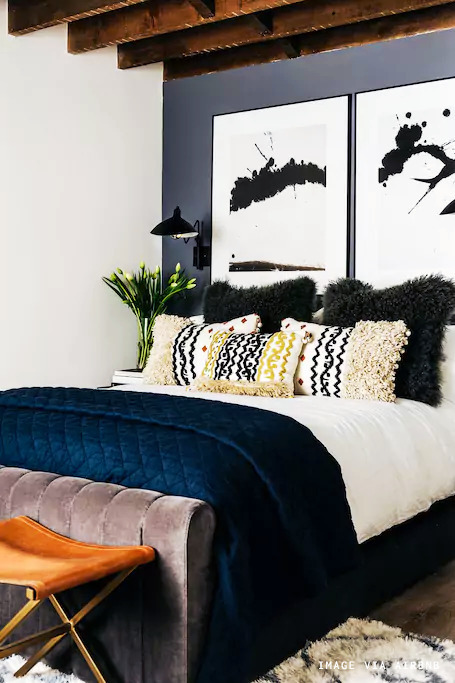 This apartment is serving executive realness with its sumptuous velvet and leather accents and splashes of navy blue. 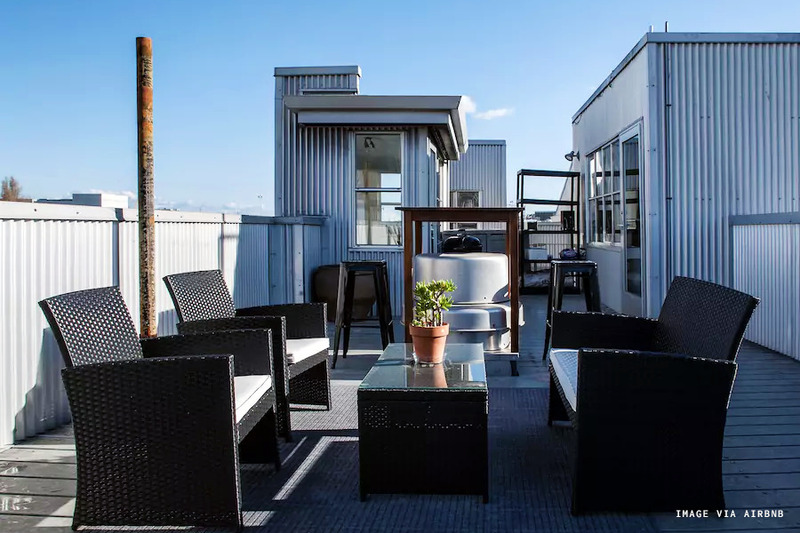 The outdoor rooftop dining area looks the most romantic place to enjoy a glass of wine and take in the sweeping views after a long day exploring the city. This spacious Mission apartment is an incredible value, especially when fully occupied. 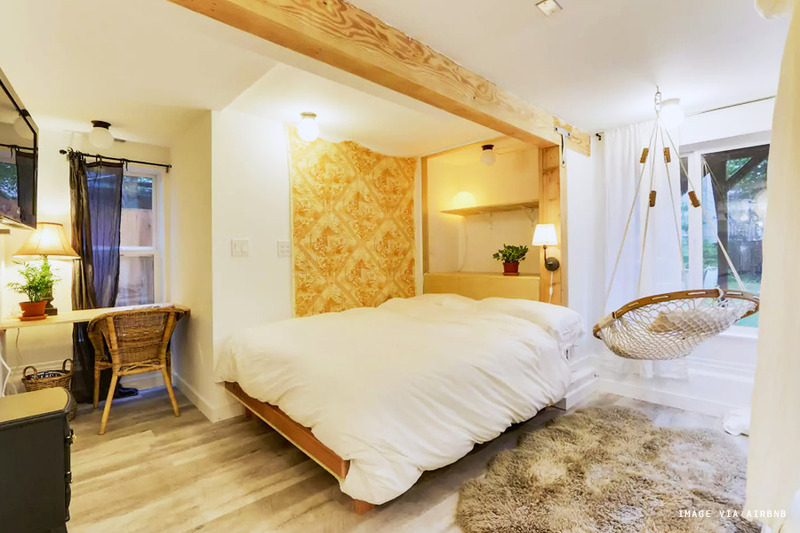 The Airbnb is operated by a French industrial designer, whose taste comes through in the marble countertops and clawfoot bathtubs adorning this gorgeous place. Hosts up to 4 people. 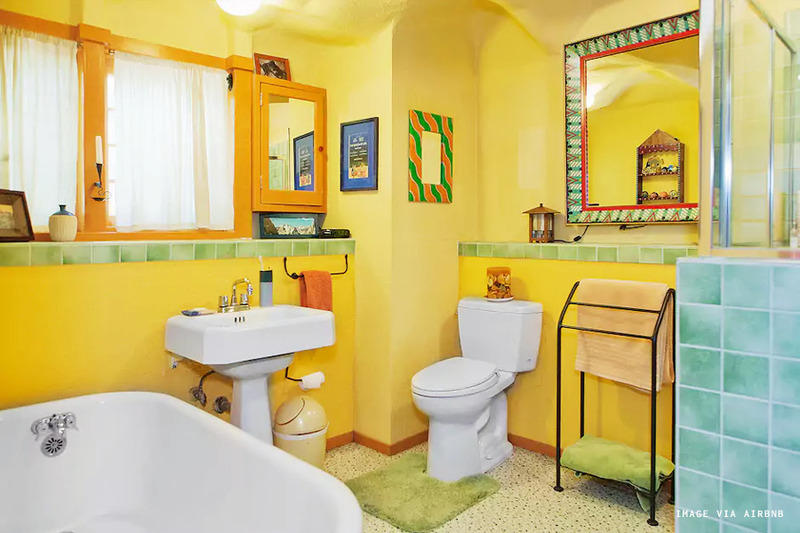 The San Francisco design aesthetic these days is sunny and minimal— and I love that, but for something a little different, check out the self-proclaimed "ugliest place in the world", operated by a funny fellow named Merkley. 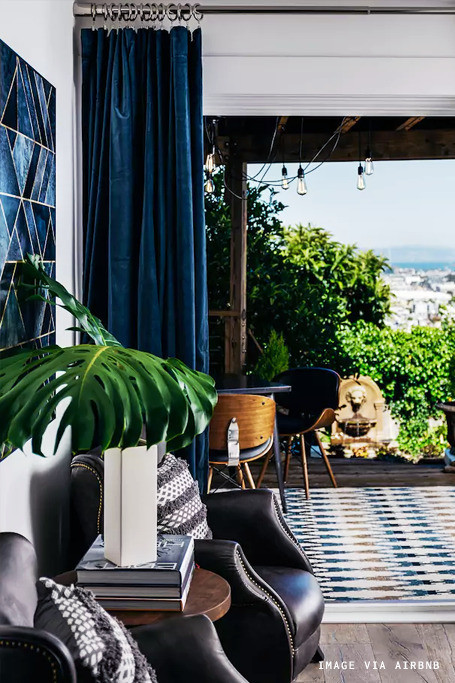 This Airbnb's aesthetic harkens more to the San Francisco of decades past, a little vintage, a little seedy and a little sinful. 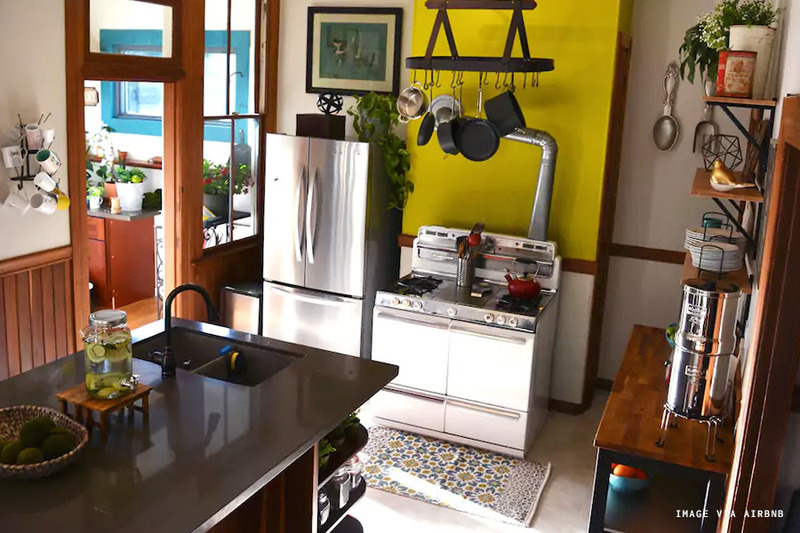 This Castro apartment is full of personality and splashes of vibrant color, including the exterior of the building itself which is a buttery lemon. The outdoor patio looks enchanting, the kitchen cozy, and bathroom just plain fun. 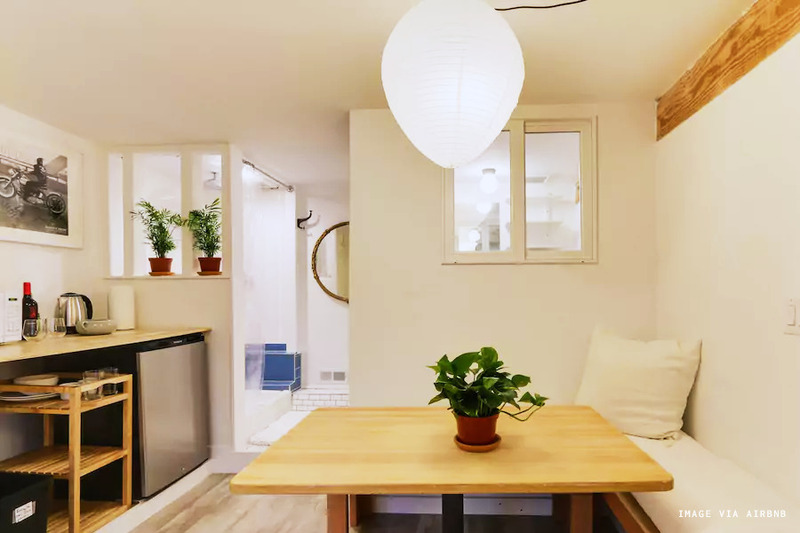 This airbnb unit is located on the ground floor. It is also pet friendly upon approval. 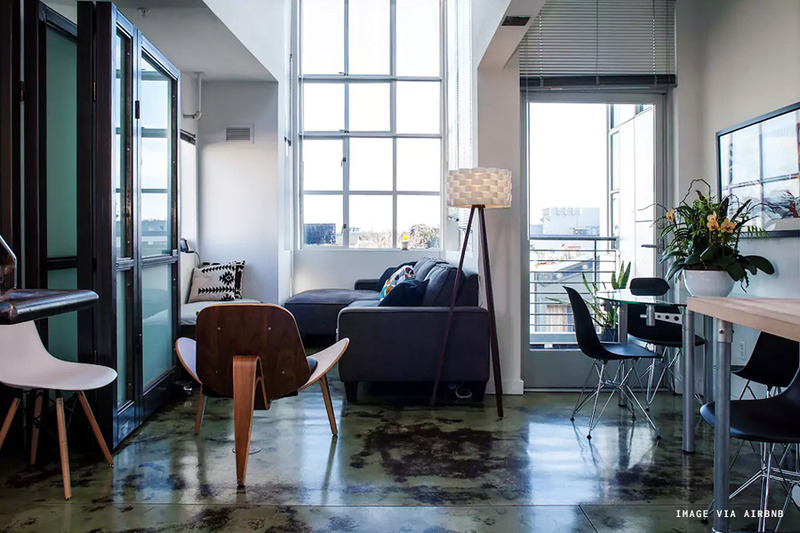 This industrial-style loft is a classic example of SOMA residences, and a fantastic option for a team off-site or business trip due to its proximity to many other tech companies in the area. Accommodates up to 6. This airbnb is accessible via elevator. This apartment is located in the same area of the Mission I used to live and in and fills me with nostalgia. It's spacious, has a gorgeous and recently updated kitchen, bright-tiled bathroom, and plenty of light. It's also close to so many wonderful places to eat in the East Mission. Accommodates up to 6. This airbnb is located on the ground floor but with two short steps separating the door from street level. 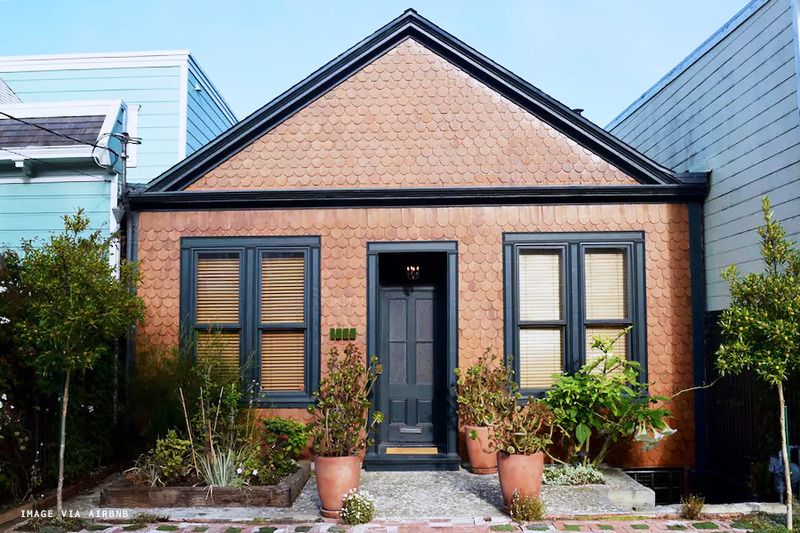 Another East Mission abode, although this one is filled with quirky and artful little details and vintage vibes befitting of the neighborhood. The apartment itself also has a huge kitchen island for a group to gather around, and a backyard patio table for dining al fresco. 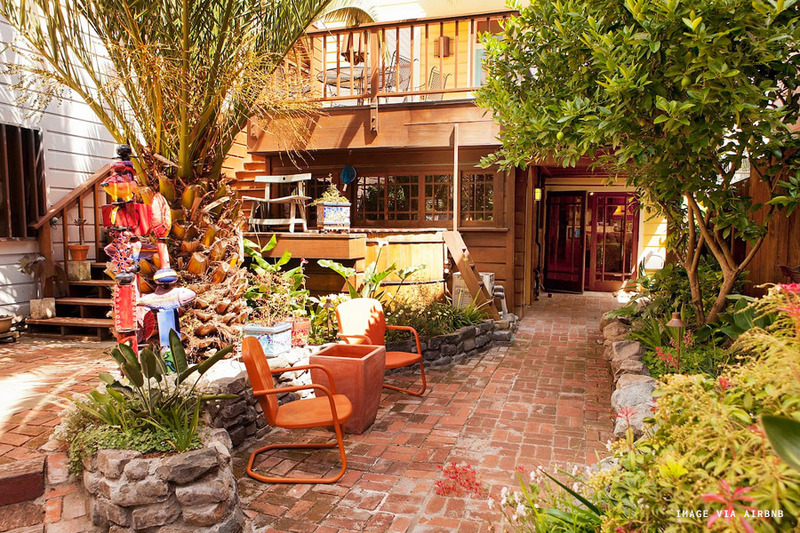 A few scenes from the movie "Blue Jasmine" were even filmed in the backyard. Accommodates up to 8.